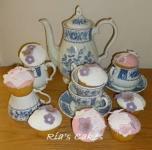 Selection of our cupcake and conecup designs including our jumbo giant cupcakes. We can decorate your cupcakes to match your event or theme. 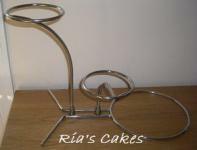 For pictures of Cupcake Towers please see our Cupcake Towers Folder. Conecups look just like ice cream but taste like cupcakes!!! Edible, handmade personalised wedding cake toppers, birthday toppers and other characters. Colours and most little details can be chosen . Cake Pops (cakes on sticks). 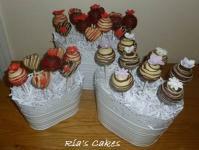 These are delicious little cake balls on sticks, covered in chocolate and decorated to your requirements. Pushpops (layers of cake and frosting in plastic 'push up' containers) and Cake Bites which are just like Cake Pops without sticks.